I’m missing many body parts. I’m missing ovaries, uterus, 1 breast, many teeth and some of my hair. I pray that I can keep what’s left… LOL! Psalm 139:13 For you formed my inward parts; you knitted me together in my mother’s womb. The rest of me that’s left is wrinkling, shrinking, drying out and not functioning properly. I must sound like a hot mess to you…but I tell you this….this outward wo-man might be decaying, but my inner man is being renewed every day! Thank God for the daily renewal of my spirit!!! 2 Corinthians 4:16 Therefore we do not lose heart. Though outwardly we are wasting away, yet inwardly we are being renewed day by day. WOW!!! I’ve suffered with so many physical ailments including the big C…cancer. I’m still suffering right now physically from other illnesses. Some days are extremely difficult for me…but I tell you one thing that’s very important to share with you….”IT IS WELL WITH MY SOUL!!!!!! !” This means that no matter if my body is mutilated, broken, falling apart and deteriorating…my soul is 100% totally well!!!! It also means that if things in my life are very difficult or tragic…I’m in the hands of my Savior. I don’t contain a soul…I AM a soul. I have a body and a spirit too. My soul is who I am and everything in my soul is well ( because of Jesus) no matter what happens to me and around me!!! Isn’t that the greatest news? I accepted Jesus as my Lord and Savior and I’m saved. The Holy Spirit lives inside of me helping me 24/7. I’m so blessed regardless of my situation. My name is written in the Lambs book of life. See you don’t have to worry about your soul!!!!!!! I experience peace in my soul in the midst of my suffering! I’m not saying here that life doesn’t hurt …I’m talking about my soul that is me…the total makeup of the human being that I am. If I lived how my body really feels… I would never get out of the bed in the morning. There have been many days though when I’ve been too sick to get out of the bed and even then it is still well with my soul. 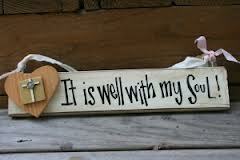 My spirit is soaring because my soul is well! I was not always this way. Before I got saved and even in the early years of my commitment to the Lord…I doubted God a lot. I didn’t know what God could do for me in the midst of my difficult circumstances. I didn’t understand God’s ways at all. I cried a lot over everything. I had lots of pity parties!! I was a spiritual mess! To walk with God and trust in Him. That the more I understood that I don’t understand God… I really was understanding His ways….Huh? Read this slower LOL! That God’s motives towards me are 100%. That God has His own plans or agenda for me!!!!! That God has super powers and angels and He will use them to help and protect me! That trials are a natural part of a Christian’s life. Suffering teaches us patience and also shows us many victories and miracles and that brings glory to God. In other words…God shows up and shows out!!! That studying the bible helps me to learn that God is trustworthy, Jesus gives peace of mind and that the Holy Spirit is my helper. Now don’t get me wrong…I’m not treating my body all willy nilly! I take care of it as best I can. You know checkups and all. I’m just saying that I make sure my spiritual needs and my soul are well fed and taken care of too. Make sure you feed your soul with good spiritual food from God’s word! If you have experienced a terrible tragedy like the man who wrote “It Is Well With My Soul”…my heart goes out to you!! Horatio Spafford who composed this song after the terrible tragedy of the death of his 4 daughters, understood that although gut wrenching loss can occur in life your soul can still be ok because of God’s amazing grace. Before his four daughters died, He lost most of his investments due to the great fire of Chicago. After the loss of his daughters he had 3 more children, but tragically their son died at the age of 4. “When you have Jesus Christ as your Lord and Savior and you have put God first in your life…God will be there to support you and bring you through anything that you may suffer.” Your mind can feel restless and emotional and your heart can really ache bad, but your soul can be well because of God’s amazing grace and the loving help and comfort from the Holy Spirit. The way God does this in us is unexplainable. The result is amazing!!! Reach out and take the Lords hand today and it WILL be well with your soul. Father God…please bring comfort to all those who need it today! In Jesus name…Amen! There is no better peace in this world than to be cleansed by the blood of Jesus!!!!!!!!!!! God has blessed me to get through all of that. I’m glad this blog enlightened you to God’s wonderful care. God bless you Ann! My pastor made this observation regarding “It is well with my soul”: I believe it comes from 2 Kings 4:26, which is when a mother was petitioning “the man of God” Elisha. I believe she was wanting him to perform another miracle, which he did. Even while her child was dead, Elijah asked her if everything was ok, and she replied “It is well.” Did she know the child was going to be raised from the dead before it happened? Imagine you have enough faith to know that whatever happens in this life that “It is well.” Now that, my friends, is faith. Thank you for sharing that. God bless you! Thank U LORD yet again You sent Your servant to help, to be Your steady stable reminder of life lived forward in The Spirit with U is ever ongoing, soildering on, loving, giving, planting, forward. Thank u my Father GOD.. I just wanted to say thank you from the bottom of my heart for sharing this personal testimoney. 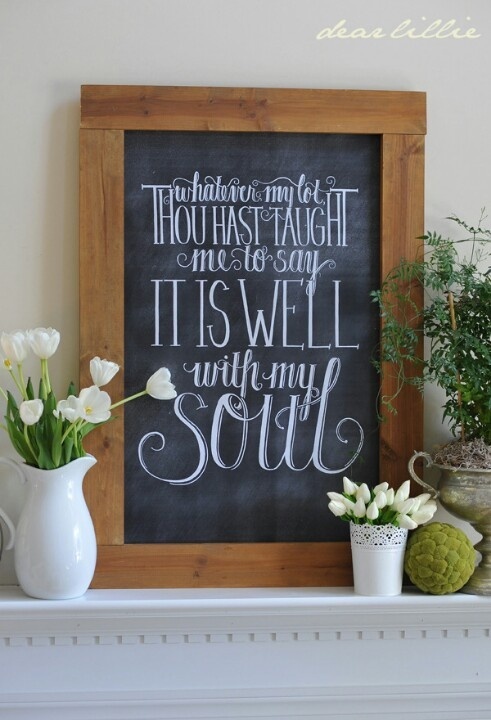 It has been very hard for me to say “it is well with my soul” and I didn’t know why, but you have encouraged me to see from a different perspective, and consider my soul ( and not just my fealings) more often, and to take care that it is well with The Lord. May His peace be with you today! And thank you for sharing His light! I’m so glad that the Lord spoke to you through my blog and His word. God bless you and keep you in His loving care. You truly are an inspiration! We thank God for you who’s able to share how God’s power & faithfulness work in each of our lives. I pray that God continue to sustain you with His grace! God bless you! Thank you Amy for your encouraging words! God bless you too!! So sorry you’re going through a lot right now. But Lafrance…thank God you know that God is with you!! Keep you eyes on Him 24/7. Pray without stopping. I know that God will see you through. May the Lord meet all you need and keep you in His loving care. In Jesus name. Hang in there and ….press. This message was written in 2014. My username is camary1996. We are all going through so much and need to know about making sure our soul is OK. God bless you!! Reading this gave me an instant feel of peace over things going on in my life. I thank you so much for your transparency and being obedient in doing God’s will by sharing your story. May God continue to bless you and your family. I’m so glad that you were able to get something out of my blog. God bless you also!! I feel someone needs this today so I’m reposting. May the Lord be your help and peace of mind today! In Jesus name. So be it. You speak for me, as well, thank you sister. Just stumbled across this. Was beautiful to read. Walk in faith and expectancy. God bless you and keep you. Love that you have gone from pity to praise party. Thank you for your words of encouragement. God bless you! Love this post, Tanya. You’re such an inspiration! I pray for you often. To know someone is praying for me really lifts my spirit! Thank you! I love this! Whatever circumstances we’re facing here on earth, we can know and trust that we’ll be made anew in Heaven. So yes, we have to take care of our bodies because they’re a temple of the Holy Spirit, but we can’t fear old age, disease, or injury because earth isn’t all there is! 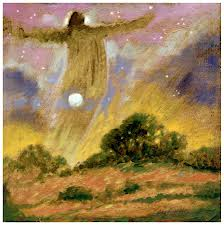 ….”earth isn’t all there is!” Halleluiah!!!!!!!!!!!!!! God has done that for me! God bless you! I am sorry you are struggling with your health. However, I am very happy that your soul is well. Dear Lord, I pray you touch sister Tanya with a healing touch, if you decide not to Lord, I pray you continue to give her your grace and carry her everyday, in Jesus name I pray, amen. Oh I receive that prayer Arlen. Thanks so much! This post made my heart sing. You are perfect in wellness in our Father’s hands. I love the Lord for keeping me in the midst of it all. God Bless you! Just wanted to say thanks so much for your posts they always speak to me and oftentimes are spot on with the content that I have been particularly praying about at that particular time, A blessing. Praying for you and thanks for your encouragement. Thank you so much for your encouraging words. I pray for all of God’s great blessing be on your life. In Jesus name.